Taylor Trade Publishing, 9781589795679, 379pp. 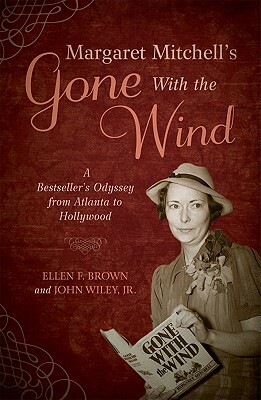 Margaret Mitchell's Gone With the Wind: A Bestseller's Odyssey from Atlanta to Hollywood presents the first comprehensive overview of how this iconic novel became an international phenomenon that has managed to sustain the public's interest for seventy-five years. Various Mitchell biographies and several compilations of her letters tell part of the story, but, until now, no single source has revealed the full saga. This entertaining account of a literary and pop culture phenomenon tells how Mitchell's book was developed, marketed, distributed, and otherwise groomed for success in the 1930s--and the savvy measures taken since then by the author, her publisher, and her estate to ensure its longevity. Ellen F. Brown is a rare book dealer and freelance writer specializing in stories about antiquarian books and the rare book industry. She lives in Richmond, Virginia. John Wiley, Jr. owns one of the largest collections of Gone With the Wind memorabilia in private hands, including every American edition of the novel and over 600 foreign editions. He writes a quarterly newsletter, The Scarlett Letter, for GWTW fans and collectors.